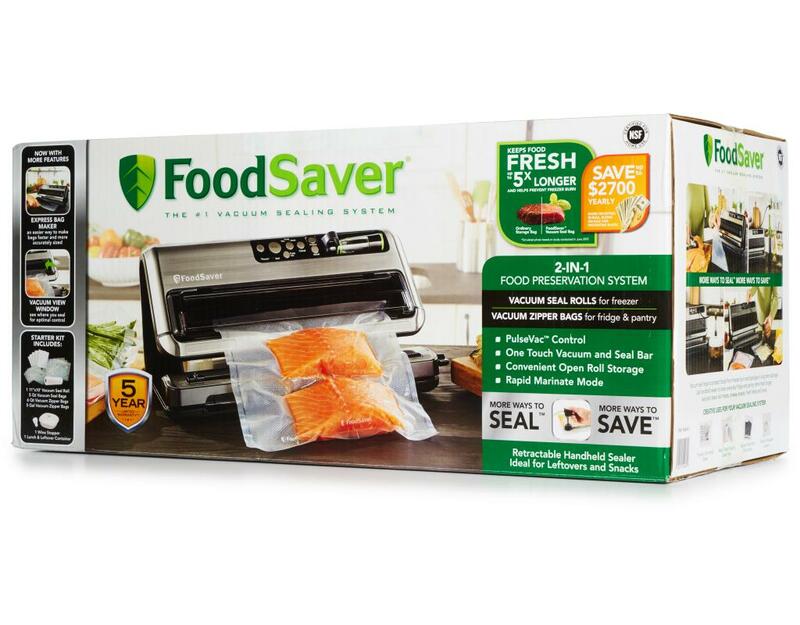 Air is the enemy of food freshness. 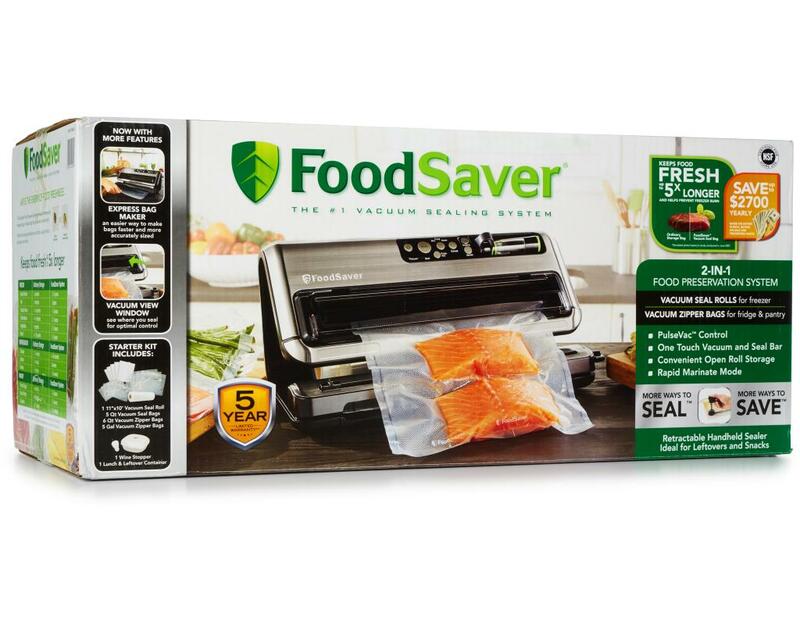 The FoodSaver Vacuum Sealing System is food's bff. Ordinary food storage methods trap air with food, causing foods to lose flavor and nutrition. 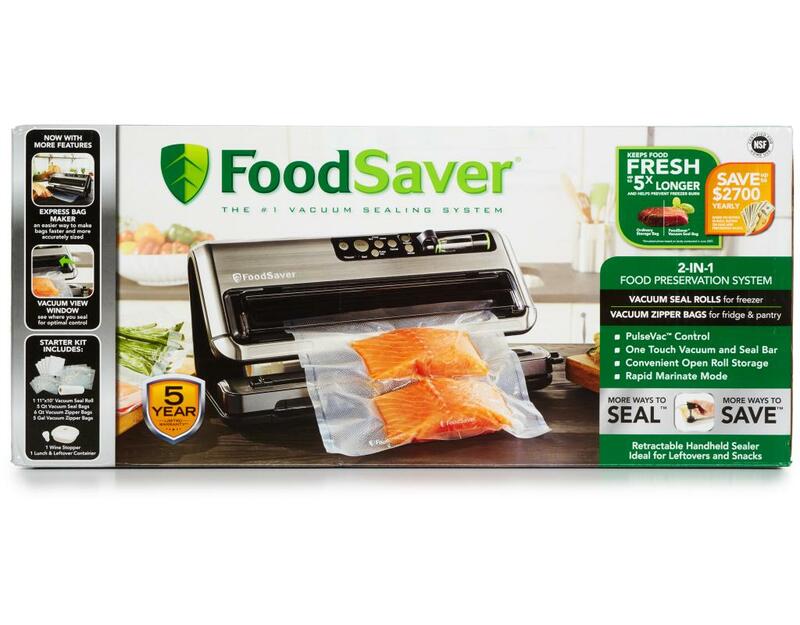 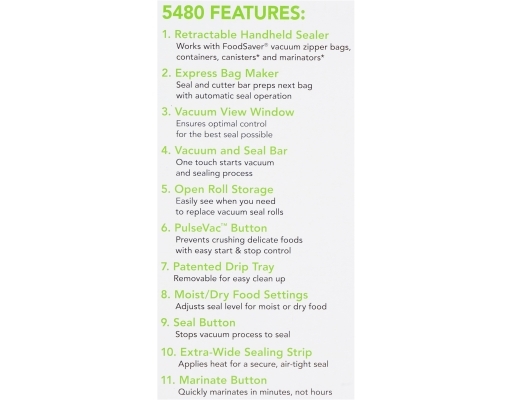 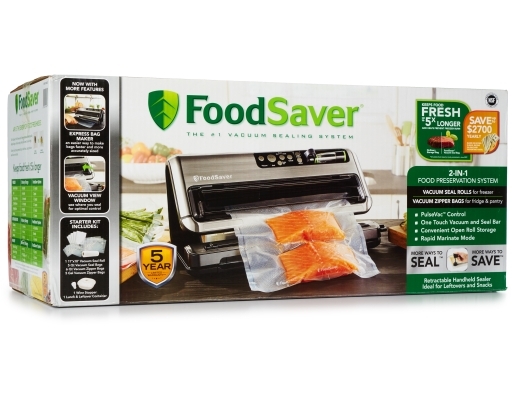 The FoodSaver Vacuum Sealing System removes air from specially designed bags, then applies heat to seal air-tight, keeping food fresh up to 5x longer and saving up to $2700 per year based on buying in bulk, on sale and preventing waste. 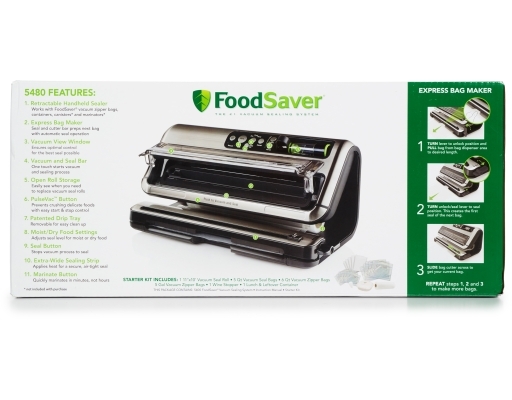 Form and function combine with a sleek, compact design and easy-to-use manual operation to preserve a variety of foods. 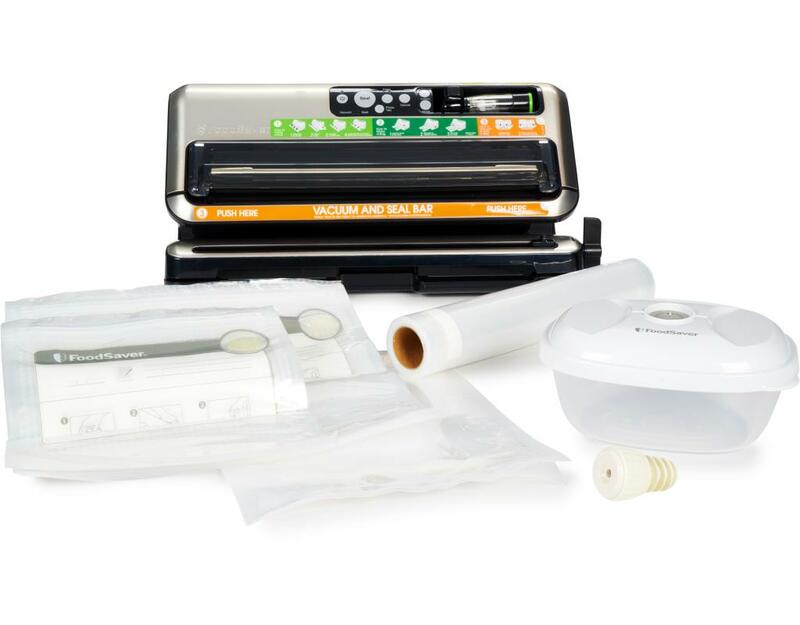 Includes new technology to minimize bag waste. 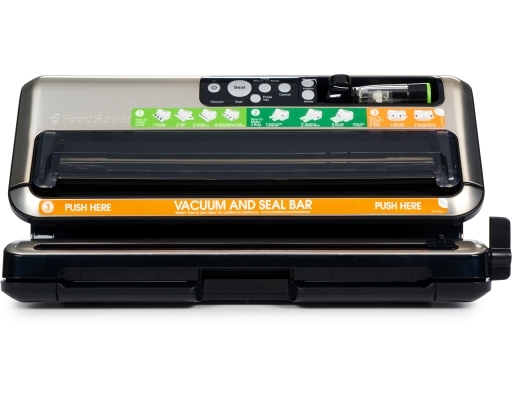 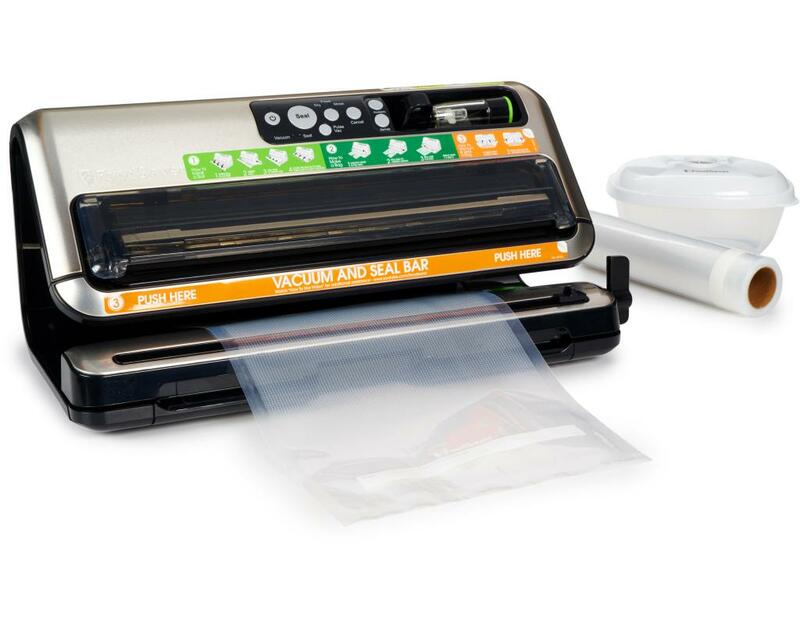 • Retractable Handheld Sealer: Works with FoodSaver vacuum zipper bags, containers, canisters and marinators.